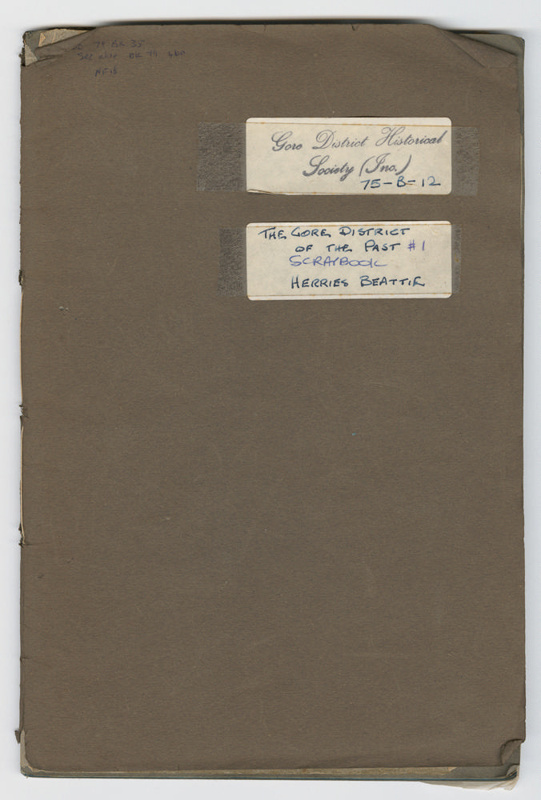 This is a scrapbook containing newspaper clippings relating to the work of Gore anthropologist Herries Beattie. 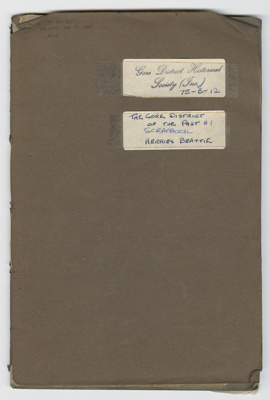 The clippings cover the following subjects: pre-European Southland, Southern Māori routes, Southern Māori mythology, early Otago and Southland Pākehā settlement, Pre-European Eastern Southland landscape, southern fauna and flora. Beattie is responsible for recording, in detail, the history and early development of Otago and Southland. Beattie was a social historian as well as a writer for the Mataura Ensign. This work led him to interviewing early settlers throughout Southland. He also corresponded with people from all over the world to capture the lives of settlers who died before he began his interviews. These interviews and correspondence informed history books published by the Gore Publishing Company, owners of the Ensign. Of note is the book ‘Southern Runs’, which details the allotment of land in Otago and Southland in the 1850s and 60s. In 1962, Beattie, at the request of the Gore Centennial Committee, wrote a history of Gore and the wider district. Beattie undertook a number of oral histories and engagement with southern Māori. In doing this, he created the most thorough written record of southern Māori history and mythology. These interviews and subsequent research also informed a number of books. These books and associated papers culminated in the 1994 extensive posthumous publication of Traditional Lifeways of the Southern Māori. Beattie's work is archived at the Hocken Library in Dunedin.